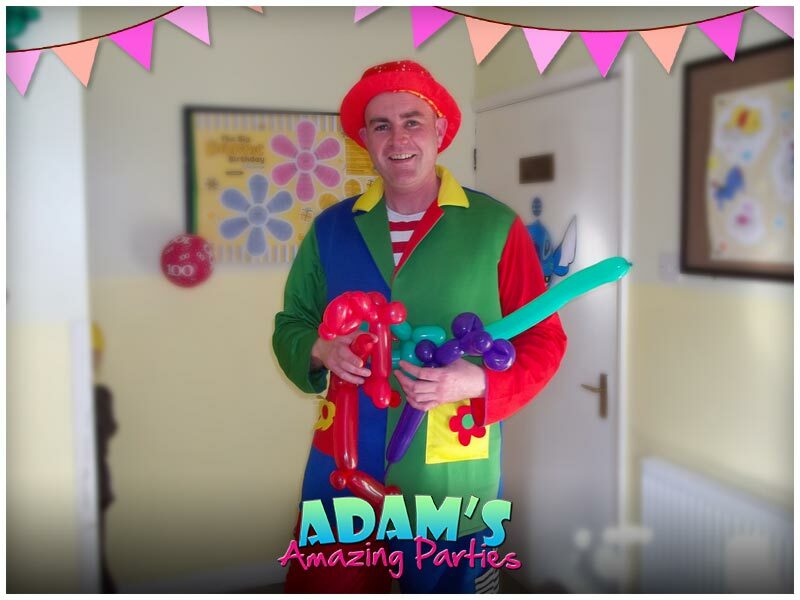 Adam The Balloon-Modelling Clown, an unmissable, technicoloured, party guest who delights audiences with his fun and colourful nature – AND MANY BALLOONS!!! 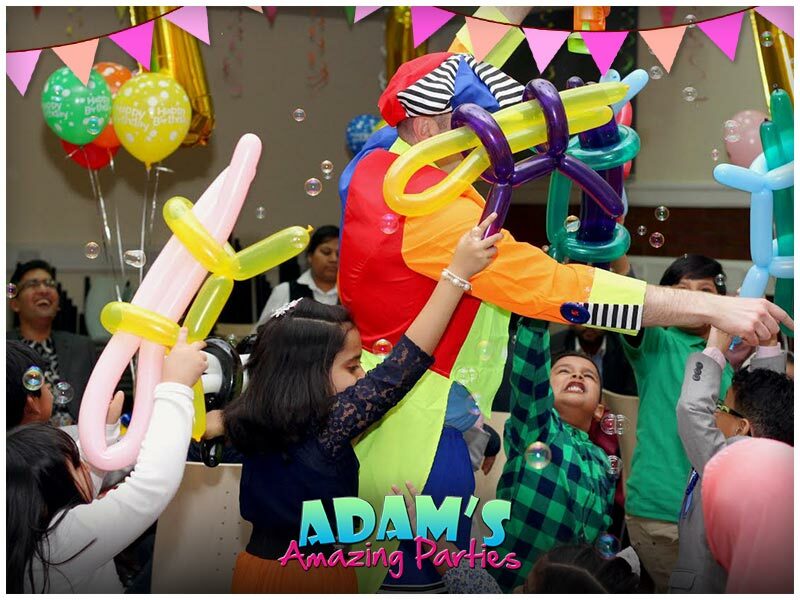 Balloons are his speciality but his is never shy at bringing out some amazing magic to dazzle and leave people in wonder. 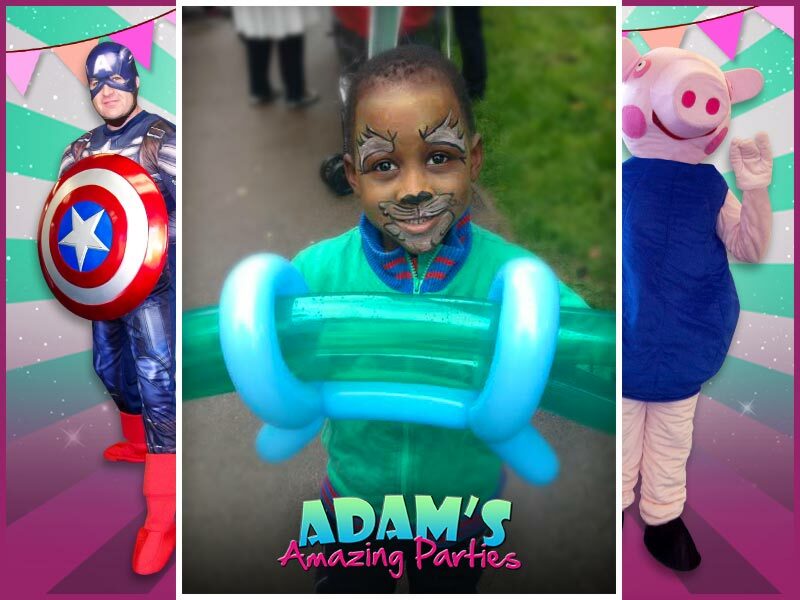 I make big bright balloon designs which gets the children captivated straight away! 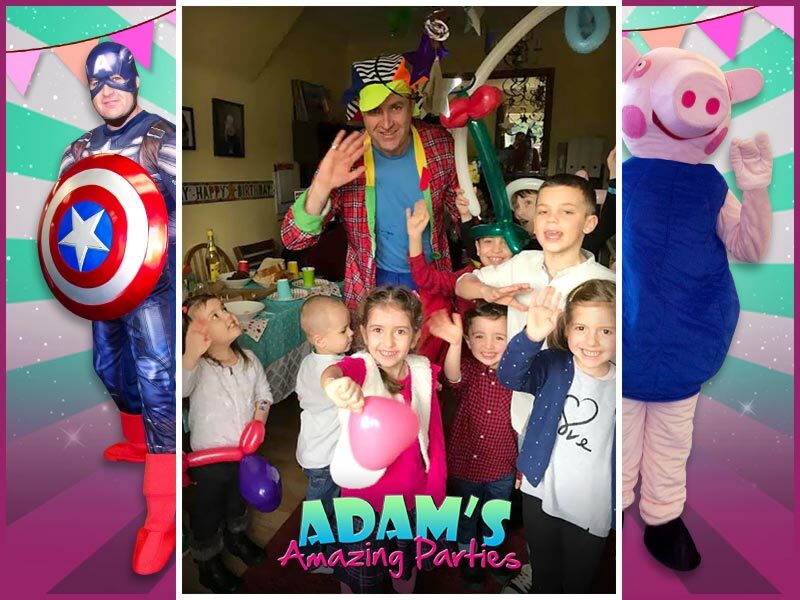 I keep them engaged and laughing throughout the balloon modelling with my unique balloon-afoonery! 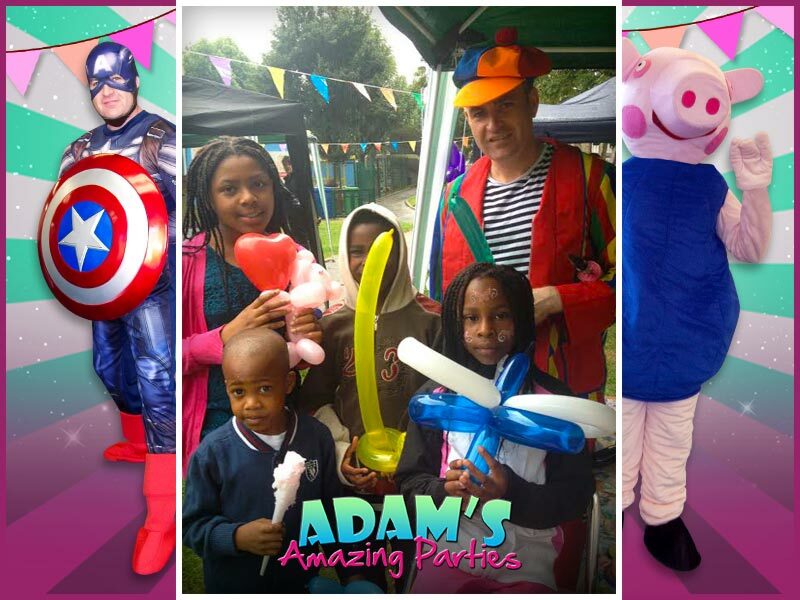 My balloon designs can include dogs, laser guns, giraffes, princess wands, flowers, teddy bears, love hearts and more! 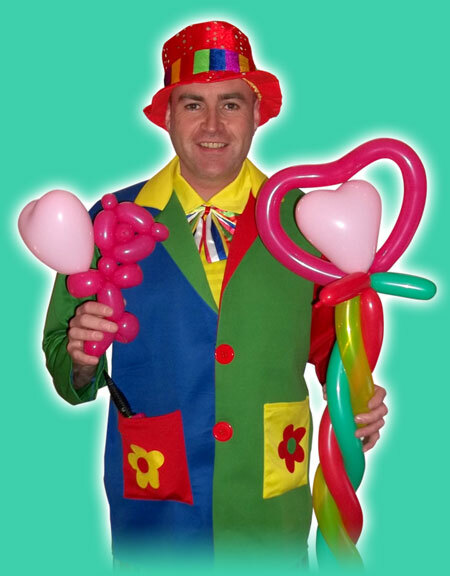 I make sure that every child gets a balloon to take home. 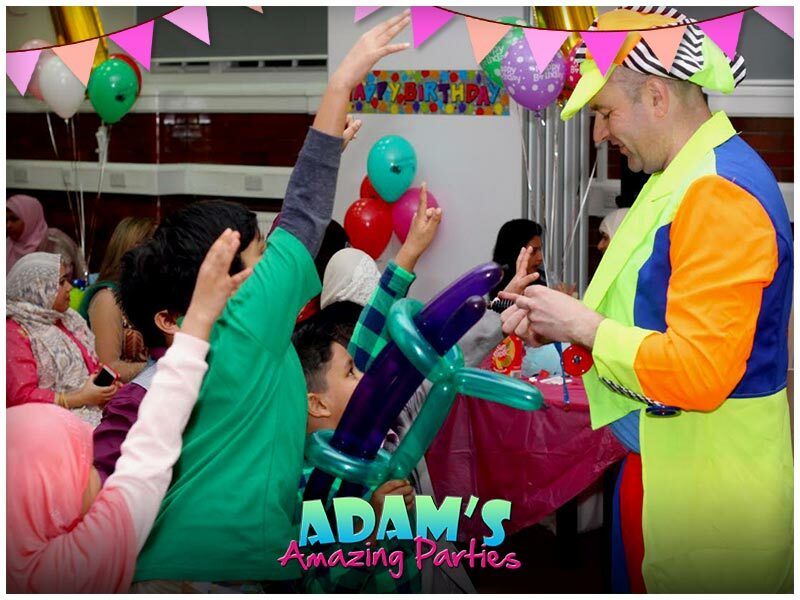 I also come equipped with extra balloon pumps so that they children can have a go at balloon modelling for themselves. 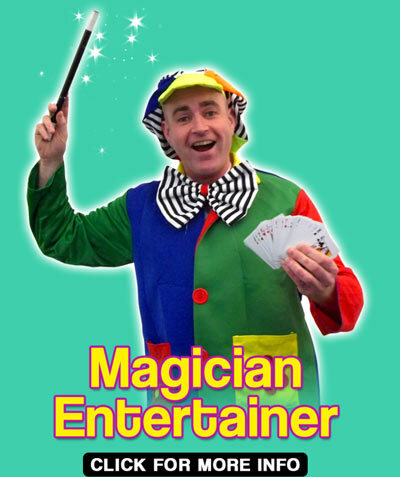 I also come equipped with brilliant magic, the best bubble machine that money can buy, plus awesome character mascots at no extra charge! 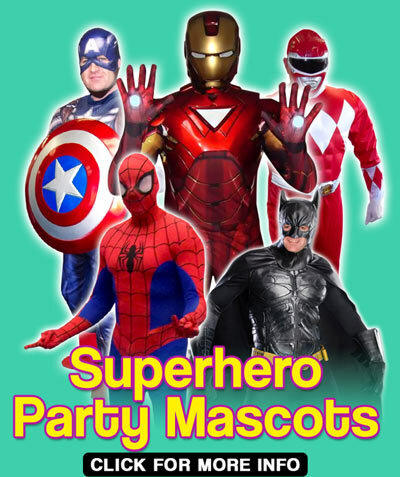 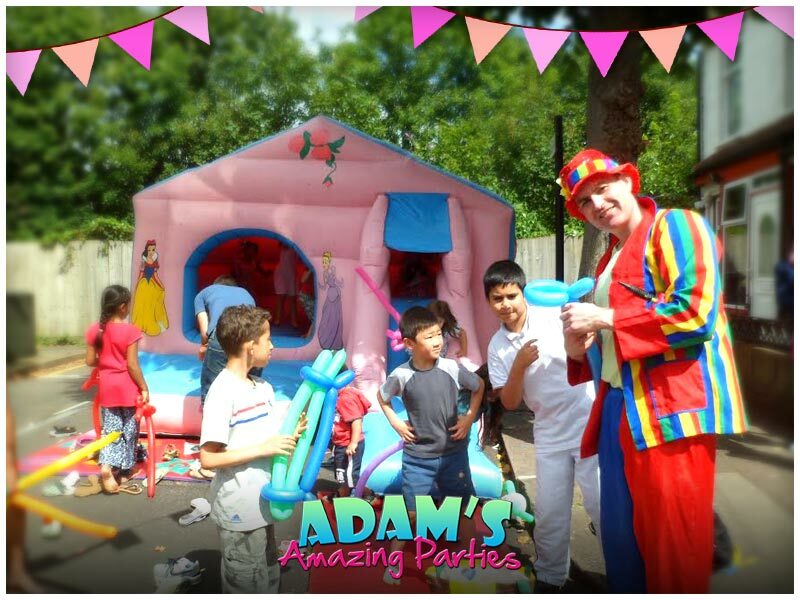 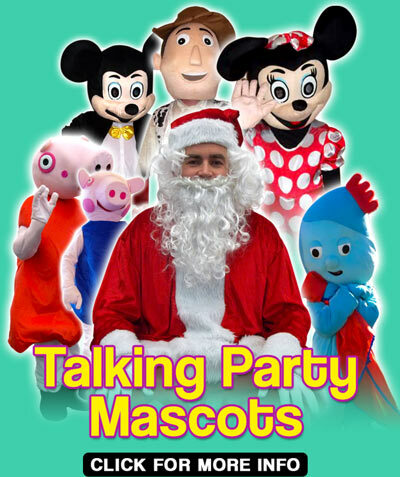 With a vast wealth of experience performing at hundreds of parties and events in across London, Adam The Balloon-Modelling Clown has proved to be a massive hit, bringing fun, laughter, excitement and providing many happy memories for both children and parents alike!